Time scheduling is one of the fundamental tasks of project planning. Realistic time schedules are the key to success of project implementation. But time planning simply faces one problem. It must describe the future with all uncertainties, based on the knowledge of present time. It was Albert Einstein who said he knows why so many people love chopping wood. They immediately see the results. But project planning is more than chopping wood and its integral part is project scheduling that must describe the future as realistic as much. Very often it is a trial and error process of adjusting tasks to constraints or resources. How do experienced project managers meet these tasks? 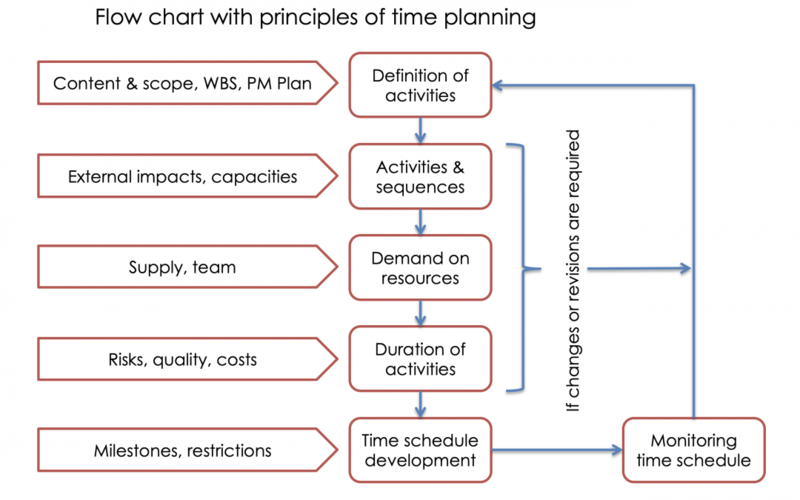 What affects the time planning? What is intended by the time schedule? Time scheduling interacts with the estimation of resources demand. Answer the following W-questions as good as much and you will get robust results that finally form the basis of the core element of scheduling. Which quality standard is required? What time period are resources required? The next hurdle in the process of time scheduling is estimation of duration of activities. All the activities listed above are single tasks required for scheduling. Describing the future work process as realistic as much with considering uncertainties as good as much one element is the absolutely basis for successful time scheduling. What time requires an activity – work package– sub project? What are the interdependencies and how do they interact? These are parameters with high uncertainty factors. Your Best-in-Class project management tool. Easy to use, full-fletched, and brilliantly efficient. Prommpt is the Tool of Choice in over 200 international multi faceted projects. © PROMMPT® SaaS Ltd. Zweigniederlassung Made with love in Cologne and Liepaja.